Mold is an unsightly and potentially harmful problem that can grow in many places. One common location for mold growth that many homeowners overlook is inside sink and shower pipes. This mold can build up and clog your pipes making it harder for water to drain properly. Since pipes are always wet and dark, keeping mold from growing in them is impossible. However, with a few household items and monthly maintenance you can keep the growth of mold in your pipes to a minimum. 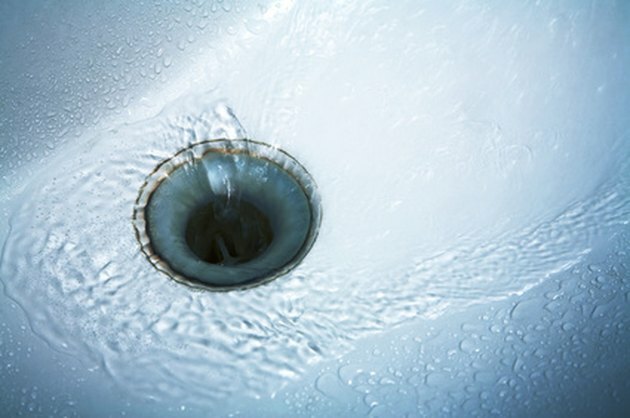 Mold can build up inside our pipes causing a clog in our drains. Pour 1/2 cup of household bleach down the drain into the pipe and allow to sit for 1 hour. Boil 2 cups of water. Pour the boiling water down the drain and run the hot water for a few minutes. Sprinkle 1/4 cup of baking soda down the drain. Pour 1 cup of vinegar down the drain and let it sit for 15 minutes. This will give the baking soda and vinegar enough time to work into the mold. Boil another 2 cups of water. Pour the boiling water down the drain and run the hot water for a few minutes. What Is Causing My Furnace to Produce Condensation?